If you like what you have seen and read in the site so far, please come by The Anchor and enjoy a drink and one of our fresh cobs. To find us, please use the two local maps below, or visit this MultiMap link to find your way from a distance. 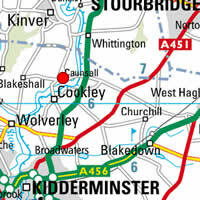 A map of Caunsall and the surrounding areas, Kidderminster and Stourbridge. 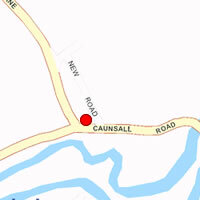 A close-up map of Caunsall, featuring Caunsall Road and New Road.